The New Year is on our doorstop and what a year it will be! In 2014, SA will be celebrating 20 years of freedom. Let’s all hold hands, unite and celebrate this milestone. It is also a great opportunity for us to reflect on the past 20 years and appreciate our history and progress towards building a better future for all. 2014 is also the year that we as citizens go to the polls. Make your mark. Remember your “X” counts. Let’s all work together for a safer SA and a safer world. Crime Stoppers International (CSI) will be holding its conference in Cape Town in October. This is the first time the CSI conference comes to Africa – we look forward to hosting the world and showing them why so many people fall in love with South Africa. We are looking forward to your support. And remember to continue blowing the whistle on crime! 2013 ended on a somber note when our beloved Madiba passed away. Let’s keep Madiba’s legacy alive. Let’s make Mandela Day, 18 July 2014, the biggest ever. Let’s remember the power of active citizenship and how we can all make a big difference by rolling up our sleeves and doing something positive in our communities. Make 2014 a year of active citizenry. Let’s all stand up, do the right thing, make a difference and LEAD SA. “Fellow South Africans, our beloved Nelson Rohlihlala Mandela, the founding president of our democratic nation, has departed,” President Jacob Zuma announced just after 11.30pm on December, 5, 2013. 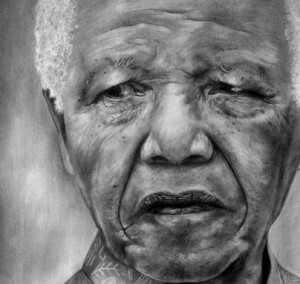 The day that will forever be marked as the day that South Africa lost its father and its leader. Within minutes of the news, despite the hour, the outpouring of grief eclipsed whatever else was making headlines around the world and continues to do so. Madiba’s last journey to Qunu in the Eastern Cape, where he will be laid to rest, has been paved by countless Madiba memories and anecdotes recalled, touching cartoon tributes, world leaders travelling to our shores on mass, including countless column space and airtime dedicated to the life and times of Madiba. As in life, Mandela has united the people of South Africa and indeed the world. My personal memories of Tata really take me back. I cannot imagine my own life without the golden thread of his sacrifices, his leadership and humility. My first brush with Madiba was in 1990 when he was released from prison. At the time I was a junior reporter for the SABC and was part of a group of journalists who covered his address at the Grand Parade in Cape Town. Who will ever forget when F.W de Klerk made the announcement in parliament that Mandela was to be released? I was in parliament covering it. Over the years I covered many more stories regarding Madiba. I was there when Madiba was inaugurated as South Africa’s first democratically elected president. What a momentous occasion. One of these stories that really stand out for me was when he reacted to the death of Princess Diana in 1997 outside his Pretoria official residence. Just before he retired from politics in 1999, he invited the so-called Indian community for a breakfast at his official residence in Pretoria. We were asked to be there early, so around 40 of us arrived promptly at 6am. Even in his retirement, Madiba was relentless in the pursuit of social justice and people continued to seek him out for advice. He would later at the age of 85 announce that he was “retiring from retirement”. To give an example, shortly after he retired, he visited Laudium where I accompanied him to the Sunrise School for children with disabilities and the Tshwane Muslim School (then Pretoria Muslim School). He never stopped being fully invested in the people of South Africa. In 2001 when Madiba was diagnosed with prostate cancer, Talk Radio 702 arranged a fundraiser for the Nelson Mandela Children’s Fund. I was 702’s station manager at the time. Together with Aki Anastasiou we handed over the cheque to Madiba at his Houghton office. My last face-to-face meeting with Madiba was in 2005 when Talk Radio 702 celebrated its 25th birthday. Zelda Le Grange arranged for Madiba to record a message for us to mark the occasion. Andy Thomas, our then audiovisual manager, and I went through to his office in Houghton to record the message. That office is now part of the Nelson Mandela Foundation Centre of Memory’s museum. I remember that after he read the message for the first time, Zelda cautioned “Tata, you are reading to fast” and he graciously read the message again. I fully appreciate how lucky I have been to have had so many moments in his presence and as a journalist to be able to have had a front row seat to watch the legend at work. This week we saw Madiba’s so-called magic at work then people from all walks of life united in mourning. Lead SA partnered with the Nelson Mandela Foundation to host a special interfaith service as part of the National Day of Prayer and Reflection this past Sunday. The next evening we also held a special tribute with Archbishop Emeritus Desmond Tutu as the keynote speaker and performance by some of best local musicians. Johnny Clegg and the Soweto Gospel Choir’s rendition of “Asimbonanga” still gives me chills, not to mention the people that came out in their numbers despite the rain. We were further awarded the opportunity to bid Tata farewell at the FNB Stadium where his memorial service was held this week. The heavens opened with an unyielding drizzle and sometimes pouring of rain, but South Africans were not deterred. During this memorial I was struck by the speech of US President, Barack Obama, in particular who said: “It took a man like Madiba to free not just the prisoners, but the jailer as well; to show that you must trust others so that they may trust you; to teach that reconciliation is not a matter of of ignoring a cruel past, but a means of confronting it with inclusion, generosity and truth. He continuously urged people from around the world to follow Madiba’s example and how we can apply it in our own lives. This is exactly the action that Madiba inspires in so many of us – to be better, to make a difference to lead. Since Wednesday Madiba’s cortege moved through the streets of Pretoria to the Union Building’s where his body lie in wake for people to say their goodbyes. People lined up for kilometers to do so. It’s been an emotional time for us as a nation. Personally, the finality of seeing Madiba’s body has been profound beyond any words I could say. Yes there is immense sadness, but also bittersweet closure in knowing that his body is finally heading home to rest in Qunu, where he spent some of the happiest years of his life. But the spirit of Madiba remains. Larger than life, embedded in the hearts of the many people he has touched along the way. Lead SA took the opportunity to arrange a special gathering at the Pretoria News offices in Madiba Street to unite scores of people in seeing Madiba off on his final trip to the Union Buildings on Friday. There was festive mood as the crowds started singing and dancing, the atmosphere was palpable and fitting to the celebration of the life of Madiba. Yet when the cortege passed a somber mood descended and the crowds fell silent in respect, reflection and acceptance. I will carry that memory with me always. It brings the truth home that the hardest challenges lie before us yet. To carry on his legacy and ensure that the unity we have seen over the last couple of days endures. That is the best tribute we can pay to Tata in honouring his ideals for South Africa and bigger than that, a better world for all. His time on earth should resound through the future generations. One day we must be able to stand up with pride and be able to say that we achieved each and every ideal that Madiba so often said he was willing to die for. Let’s come together and move forward. For Tata, for ourselves and for the world. Seeing the body of Madiba laying in state at the Union Buildings today was so emotional. We have lost a giant. We have lost a legend. We have lost a leader. We have lost a leader. We have to keep Madiba’s legacy alive. It was heartbreaking to see the body of Tata. I could not hold back the tears. Thousands of mourners shed tears over the past two days. Tomorrow, we need to line the streets of Pretoria to bid farewell to Madiba as he goes to the Union Buildings for the last time. Join Lead SA outside the offices of the Pretoria News in Madiba Street from 6am onwards. Minister in the Presidency, Trevor Manuel, addressed about 100 guests at the Erasmia home of a Lead SA activist and Head of Crime Line, Yusuf Abramjee at the weekend. Manuel spoke about a bursary and leadership programme he was spearheading in Mitchell’s Plain in the Western Cape.